Colonial Life Arena is the home for Gamecock men’s basketball, led by 2017 Jim Phelan National Coach of the Year Frank Martin, in his sixth season. Carolina advanced to its first-ever Final Four in 2017 and amassed a school-record 26 wins along the way, including 15 of those victories on its home court at Colonial Life Arena. South Carolina set attendance records for both total attendance and average attendance last season, as a total of 241,126 fans, an average of 13,396 fans per game, attended Gamecock home contests in 2016-17. 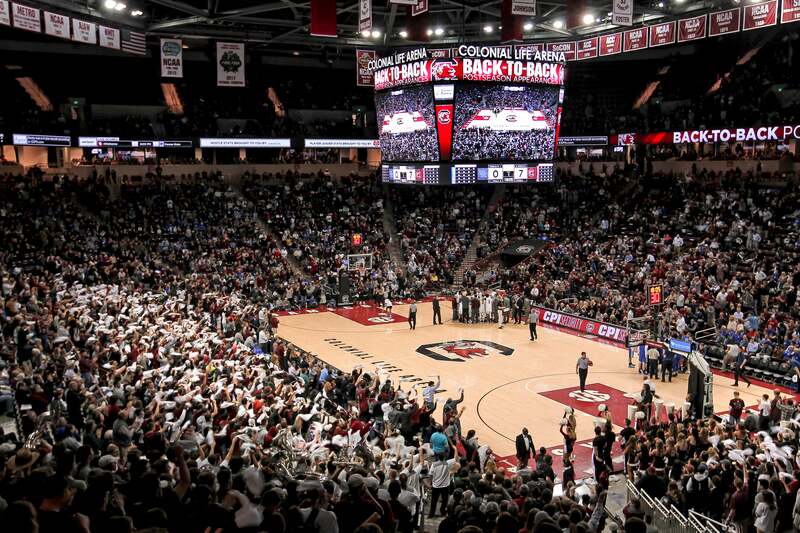 Nationally, the Gamecocks ranked 15th in total attendance, which was third in the SEC, and 21st in average attendance, which was fourth in the SEC. Sindarius Thornwell, the 2017 SEC Player of the Year, and fellow seniors Duane Notice and Justin McKie led the Gamecocks to home wins last season over Michigan, Texas A&M, Florida and Tennessee to name a few. 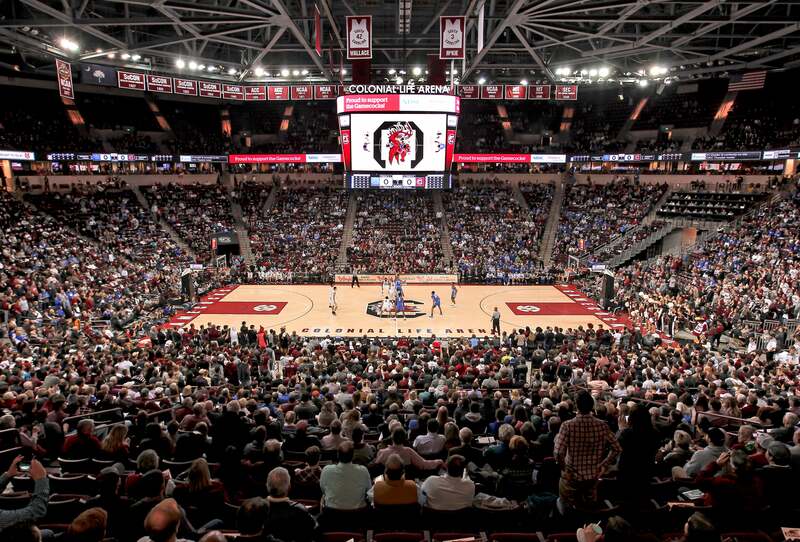 Over the course of the last three seasons, Colonial Life Arena has been sold out five times for Carolina men’s basketball games.